A reedit user posted a problem being experienced by most of the windows 10 users in the world. 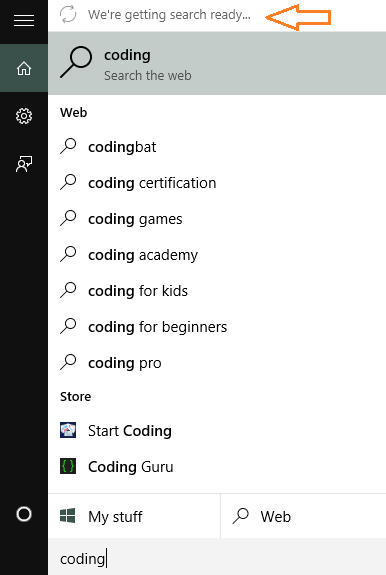 It says that whenever he search for something in his taskbar, it displays the following message at the top. The real culprit for the problem is the SearchUI process which gets stuck. You have to end this process and restart it for fixing your search. The indexes gets rebuilt after ending the process, and this message at the top disappear. After restarting this process your search starts working again in the correct way. Step 2 – Now, click on the details tab. 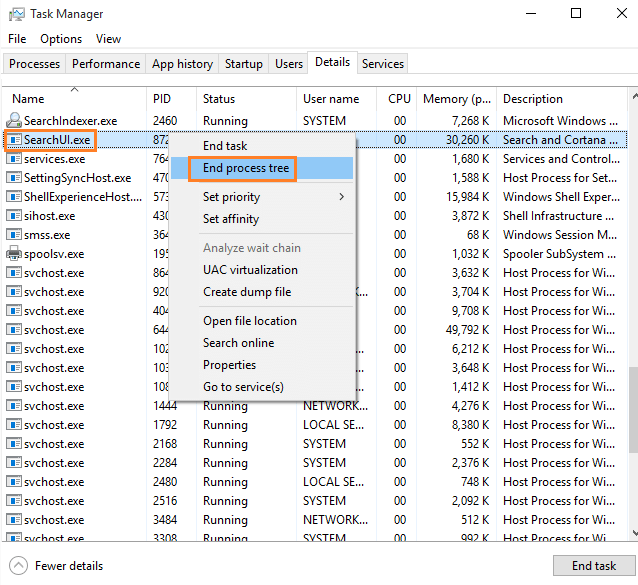 Step 3 – Find process named SearchUI.exe and end process tree. Step 4 – After few minutes, the process will restart and revoke itself. As it will restart, it will build new search indexes again and you will no longer get the message. If you feel problem still persists, feel free to comment in the form given below about your search problem in windows 10 taskbar.